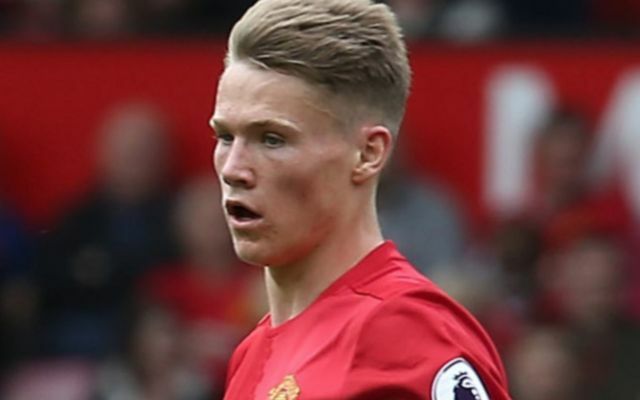 Manchester United manager Jose Mourinho is considering loaning Scott McTominay out in January, despite fielding offers for him this summer. The 21-year-old has featured prominently for United at the start of the new season, but the Portuguese boss has played him out of position in the heart of the defence, which hasn’t been easy for the youngster. A nightmare display against West Ham during a 3-1 defeat last month highlighted that fact, as the Scottish starlet struggled to get to grips with Hammers striker Marko Arnautovic and was found out of position on several occasions. According to The Sun, Mourinho fought off offers from Leeds and Aston Villa over the summer for McTominay, but he has now made a U-turn on his original stance with the January transfer window on the horizon. The Sun reports that United are thinking about letting the midfielder leave the club after Christmas so that he can get regular first-team football and rebuild his damaged confidence in a new environment. As per The Sun, a source close to the Red Devils revealed the news on Monday, as they told reporters: “Scott is wanted by a number of clubs and there are offers on the table already. “The club are not totally against the idea of him going. There was a lot of interest in him in the summer. “Jose is a big fan of his despite what might be perceived with his comments about his confidence being knocked. 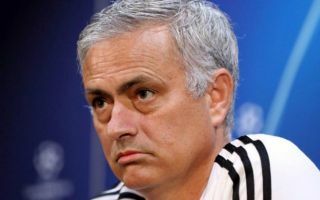 Mourinho recently suggested that McTominay was unable to handle the pressure on the pitch, given the intense scrutiny the Red Devils have found themselves under for their poor start to the new campaign. The 55-year-old coach highlighted the Scotland international after the club’s 3-2 win against Newcastle earlier in the month, stating that he is not ready to be under the spotlight. “Maybe it was my wrong decision to play Marcus Rashford and Scott McTominay,” Mourinho said, as per The Sun. “They were not ready for this level of pressure that the manhunting is bringing. McTominay will return to club duty later in the week ahead of United’s trip to Stamford Bridge on Saturday, which will see them go up against league leaders Chelsea in a huge Premier League clash for both sides.